Hello there everyone! I have been on a smoothie kick lately and wanted to share with you one of my newest recipes. The latest Picky Girl adventure is the “newish” product known as Kefir. From what I can see, Kefir is very similar to yogurt, just more liquefied. It is yummy to drink on its own but has a bit of a strange consistency, so I add it to my smoothies instead. What I like about this product is that it is a great way to add protein to your smoothies (11 grams for 1 cup in fact!!!). One thing that I noticed while reading the label, however, is that the blueberry kind has 20 grams of sugar in it! Next time I buy Kefir I plan to stick to the “plain” kind, because it has about 1/2 the amount of sugar. I bought plain Kefir to add to my smoothies yesterday! Great minds and all that I guess. I drink Kefir almost daily and credit it for nearly “curing” me of heartburn and reflux. Another friend swears that the probiotics in it keep her regular. My latest smoothie has 4 kinds of berries, Apple, OJ, kefir, a few frozen sour cherries and a little honey. Yummo! I hope to make one for you some day. Great minds do think alike! I will have to try your smoothie recipe, it sounds delicious! That is great all of the benefits that you and your friend have gotten from adding Kefir to your diet. P.S. What benefits do you receive from chia seeds besides fiber? I personally have only heard of/read about their fiber benefit! I did hear recently that they contain antioxidants as well, but haven’t had the chance to fully research this claim yet. Your post made me curious about what kefir is so I checked Wikipedia. I thought it was always made from goat’s milk, but it can be goat, cow or sheep. What do you think of any nutrition benefits to probiotics? It is confusing how many different strains there are. 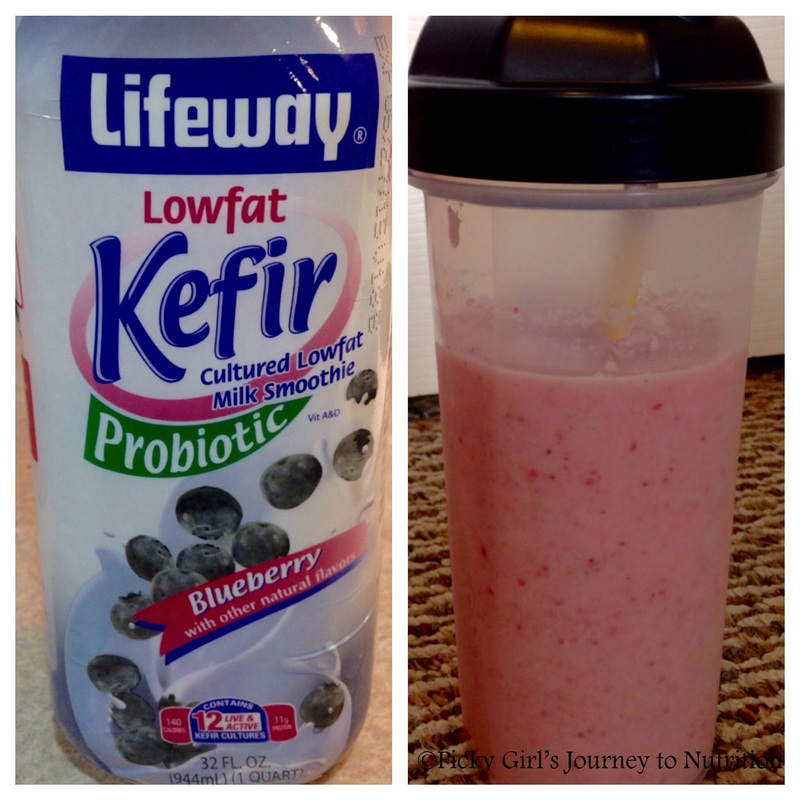 Using kefir in a smoothie looks like a great solution for introducing probiotics to your diet and a great plus if you are lactose intolerant. Very interesting, I didn’t know that it could be made from different animals’ milks. I don’t know much about probiotics to be perfectly honest, so I did a little research in my Advanced Nutrition class textbook. All I know is that you eat them, the bacteria colonize in your colon/lower-GI tract, and by doing this they may provide you with health benefits. It has been said that they may help with diarrhea, inflammatory bowel diseases, colon cancer, and other infections. There are a lot of strains out there, but the U.S. has their favorites that they ferment milk and yogurt with. Hope this helped, thanks for reading! I definitely will try this. I have been making my smoothies with kefir, chia, whey protein and frozen fruit. Your version is definitely less calories. I have been freezing banana when they start to get too ripe. I break into 3rds and add a third to my smoothie. Blueberry and banana.. yum. it also saves me throwing away overripe bananas. I hope that you enjoy the smoothie! I should try your banana trick in a smoothie soon, very smart. 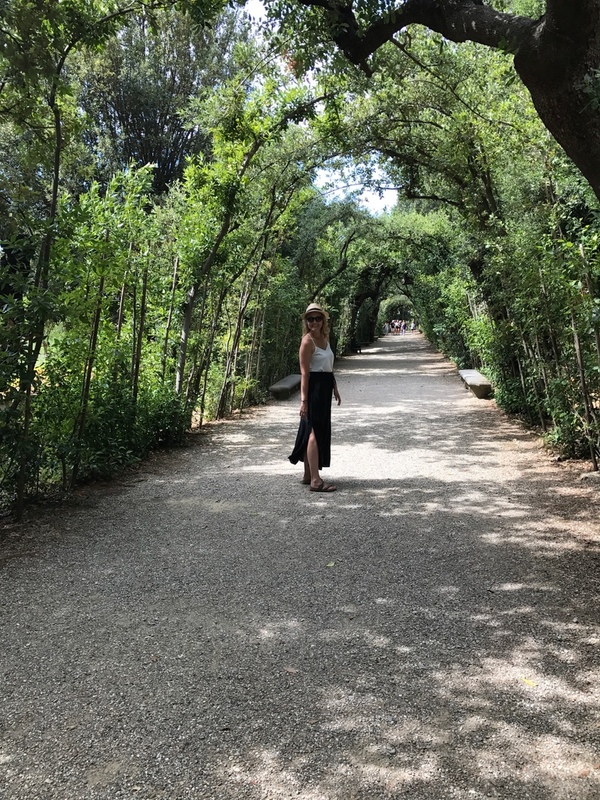 Thanks for sharing and reading!